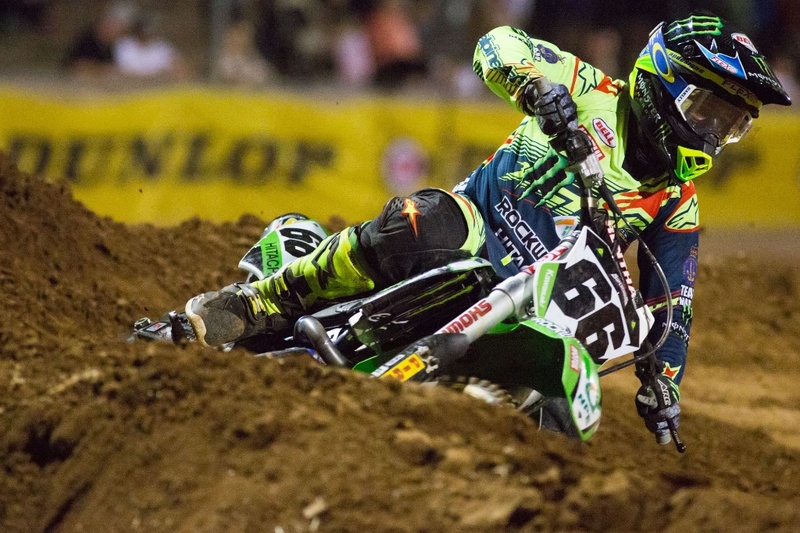 National Pump Monster Energy Kawasaki Racing Team’s Wil Hahn and Kade Mosig finished fourth and seventh respectively in Adelaide’s third round of the 2016 Australian Supercross Championship. Hahn qualified second, won his heat race convincingly and then claimed fourth in the 20-lap main event. The American maintains third in the championship standings and moves to within one point of second at the mid-point of the season, although he felt the end result could have been higher after the final. “The whole day went really, really well for me,” Hahn said. “I felt I rode in practice and qualifying, then won the heat, but in the main I just didn’t ride how I should have – these guys work too hard for me to go out and ride like that. “So, yeah, it was a poor performance on my side and I have no real excuse for it, I just didn’t take what I had all day to the main event, which still resulted in a fourth. “I thought they did a really good job with the track and the whoops were really tough – that’s where I lost the race. Mosig was eighth-fastest in practice and then took sixth in his heat race. The main event saw him cross the finish-line in seventh position, currently sixth in the points-chase. “It’s another sort of average result for me and I don’t really know what’s going on,” Mosig said. “I’ve been working really hard, I feel like I’m in great shape and I love my bike, but it’s just not been working out for me. “I will figure it out, we have three more rounds to go, so we have just ticked by the halfway point and I’m looking forward to Melbourne with a hometown crowd and family there as well. The 2016 Australian Supercross Championship will now travel directly across the border to Victoria for round four of the season at Avalon Raceway on Saturday, 5 November. 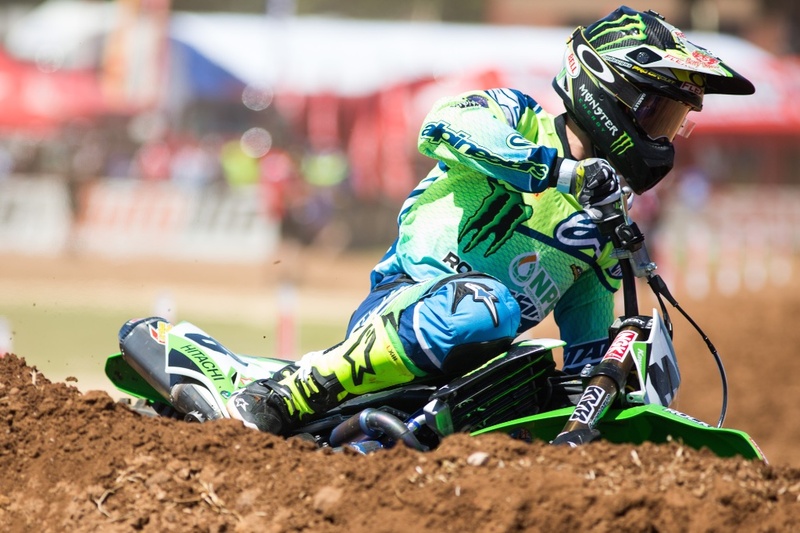 To stay up-to-date with the National Pump Monster Energy Kawasaki Racing Team, ‘Like’ National Pump Monster Energy Kawasaki Racing Team on Facebook or ‘Follow’ @npe_monsterenergy_kawasaki on Instagram and @KawasakiAU on Twitter. Visit www.kawasaki.com.au for further information on Kawasaki Motors Australia.